There’s nothing quite like getting a freebie. We all love getting something for nothing. Did you know that there are ways to play bingo for free? We’ve scoured the web looking for the best places for you to play free bingo online. Stick with us to find out where and how you can take advantage of free bingo. Some of the top sites on the web will allow you to play for free. Below are our recommended free bingo sites. Play for free with 25 free spins on sign up! Enjoy 2 daily hours of free bingo for real money! 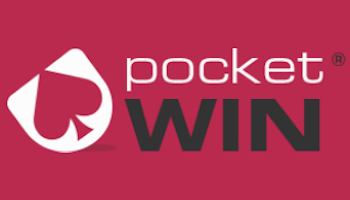 Get some wins in your pocket! Unlock a £5 no deposit bonus as soon as you join! mFortune is a great destination for desktop and mobile bingo! Join now and you'll be rewarded with £5 on the house! It gets even better - you can keep what you win! 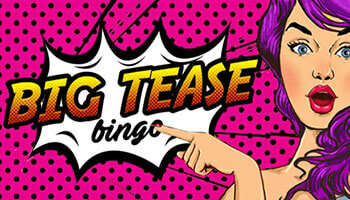 Join WTG Bingo & get up to 500 free spins on your 1st deposit. Free spins on Fluffy Favourites or Irish Luck up for grabs! WTG, indeed! 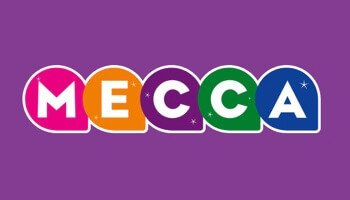 Mecca takes care of your bingo needs - both online and offline! Get £30 free on a deposit of £10 + £10 to spend in any of their clubs! As always, check the T&Cs before you play! What are some of the Best Ways to Play for Free? There are so many ways to play bingo for free, though not all are created equally! We are going to discuss some of the main ways to play for free in this section to help you get the most out of your free online bingo experience. These are popular ways to play online bingo for free as they are quite often offered to new players once they have signed up for an account. Often, you do not need to deposit to access these free newbie bingo rooms. You can often win real cash prizes or bonus funds for other games. Newbie free bingo rooms are an excellent way to acquaint yourself with a site. Usually, just one bingo variant is offered. Free bingo rooms are usually offered for a limited time only for newbies. There can be time constraints on when you can play in these rooms. Prizes are often not offered as cash. T&Cs can be stricter than in other bingo rooms. Demo modes are basically risk-free bingo rooms or games that you can play that do a good job of replicating the real thing. Lots of sites offer demo modes with different types of bingo game. These modes are risk-free meaning that you can play before you pay. A good way for bingo players to test out the content on a new site. You can play these games as much as you like to brush up on your skills. No prizes offered in these games. They often don’t paint the full picture due to a lack of real players. Some sites will only offer demo modes for one specific bingo game. You perhaps do not see as many no deposit bonuses as you used to but a lot of sites do offer bonus cash without the need to make a deposit. You do not need to invest any of your own cash to claim the offer. The bonus cash replicates real money pretty effectively to allow to enjoy an authentic bingo experience. You can spend your bonus on whatever you like (in a lot of cases). You can still win real cash if you manage to meet the wagering requirement. Strict wagering rules usually accompany no deposit bonuses. As a non-funded player, you may be restricted from certain games on some sites. It is unlikely that you will be able to withdraw the bonus cash as real money. These are pretty self-explanatory and free bingo tickets are offered as part of a welcome offer or package and they are becoming more and more common. Often, these are fixed value and they can be cashed in quickly and efficiently. They will be offered for set games making it easy to choose. You can win real cash playing in these games. You can also win bonus cash or additional tickets for other games. The terms and conditions can be very strict for these games. Winnings are often capped or are not worth very much. Wagering rules can also be strict for free games of bingo involving free tickets. Just have a think about how you want to play before you claim these offers. You can get freebies through loyalty schemes, bonuses and all sorts of other promotions. Just keeping your eyes peeled can bring you in a lot of free bingo fun. What are the T&Cs to be Aware of? As you will probably know, sometimes offers on bingo sites can seem a bit too good to be true. They can have significant terms and conditions that change what you can expect. If you want to play free bingo, then we suggest you take into account the following factors and remember that if an offer seems too good to be true it probably is! If you want to win real cash when you play for free, then you’ll need to be mindful of wagering requirements. To swap your bonus funds into cash, you will need to satisfy these in order to withdraw. This will stipulate just how much you need to spend or how many times you must wager before this happens. No deposit bingo sites can often have really strict wagering requirements, be sure to learn about them or you could be disappointed. However, wagering is very much in a state of transition at the moment, especially in the online bingo market. What we mean by this is that many sites are beginning to revise their policies. We are now beginning to see a lot of sites change their wagering rules and in some cases, make them far less strict. The key thing is to not only read the wagering rules but also understand them as well. For example, a 4X bingo wagering requirement would require you to wager £50 on a £10 deposit (£10 deposit + £10 X4 = 50) before this could be withdrawn as cash. If you’ve won on a free game and have never deposited then you may not be able to withdraw your winnings until you have made at least one deposit. You may not also be able to withdraw until you have enough in your bankroll, which can be quite hefty. Yet again, this is all about understanding the terms and conditions on the site that you have chosen to play from. The minimum deposit and withdrawal limits are usually outlined in the general T&Cs and they will vary from site to site. Most modern bingo sites will offer a minimum deposit of around £5-10 in most cases. With some offers, such as newbie rooms, you will only be able to partake of them for a set period of time. After that, the offer will expire and you will no longer be able to play. If you’re signing up for three days of free bingo then make sure you have the time to join in on it! This seems a bit trivial but you would be amazed at the number of players who do not read up on when these games and rooms expire. Try and claim the offer so that you give yourself a good opportunity to take advantage of the available time. This will ensure that you are getting maximum value from the offer and making the most of it! If you’ve won tickets or funds through these methods, then you won’t automatically be eligible to play in every game. There are loads of cash only games that you won’t be able to take part in with your bonus funds. It sounds a bit boring but looking into the fine print will inform you what to expect with these offers. Every site is different so do a quick check before you start. To sum up, there are ways to play bingo for free online. However, just always be aware of additional terms and conditions before wagering. This way you can fully evaluate the deal before wagering your own cash. Now that you know where to find free bingo games and the different categories that exist, it would seem appropriate to list some tips and tricks to help you get the most out of these games. We touched on it above but claiming a welcome offer at the appropriate time is important. For example, if you’re offered 7 days of free bingo then claim this offer when you can make the most of the 7 allocated days! It really is that simple. Try and use your no deposit bonuses on the most lucrative games possible and you never know, you might just win some cash from nothing at all. Finally, new players should consider using demo modes and even though they do not offer prizes, they are a great way to build up your bingo skills! If you are completely new to the game then we would recommend using the demo modes if you want to learn how to play the game effectively. When Should You Opt for a Penny/Full-Priced Ticket? This is a matter of personal preference but generally, players will begin to spend a little more on tickets once they have built up a basic knowledge of the game and when they are comfortable on the site. Try and use up as many of the free bonuses as possible and then you will be ready to play some of the more lucrative games. Starting out with penny bingo and then progressing to some of the more expensive tickets is the way forward. Of course, you can begin to purchase more expensive tickets whenever you please and the freedom to pick and choose is what makes online bingo so versatile and the game of choice for so many people across the globe. We are now at a stage in the online bingo market when there is a much heavier emphasis on fair play and regulation and this has led to several recent developments. Within the UK, the government has passed legislation that now changes the way bonus cash and offers are taxed. Basically, bingo bonuses that are offered to players are now set to be taxed and as you might expect, this has led to many bingo brands and operators revising their own policies. As a result, we are now beginning to see less bonus cash offers and this includes both matched deposits and no deposit bonuses. Indeed, the no deposit bonus could be set to become a thing of the past and instead, we are now seeing bingo operators offering free tickets, newbie bingo rooms and lower wagering requirements as part of their welcome packages. Overall, we expect to see more bingo sites and operators change their traditional offers and we expect to see many more bingo sites that offer little to no wagering requirements in the coming months. It certainly has never been a more exciting time to try out some online bingo for yourself. Get up to 500 Free Spins - Lucky Cow Bingo!